Glenda Jackson is performing the role of "King Lear" on Broadway, a few years after her triumph in another production of the play on London’s West End. Hear Theatre Critic Howard Shapiro's review of this production on In a Broadway Minute Friday (4/12 at 8 am) and Saturday (4/13 at 10 am). 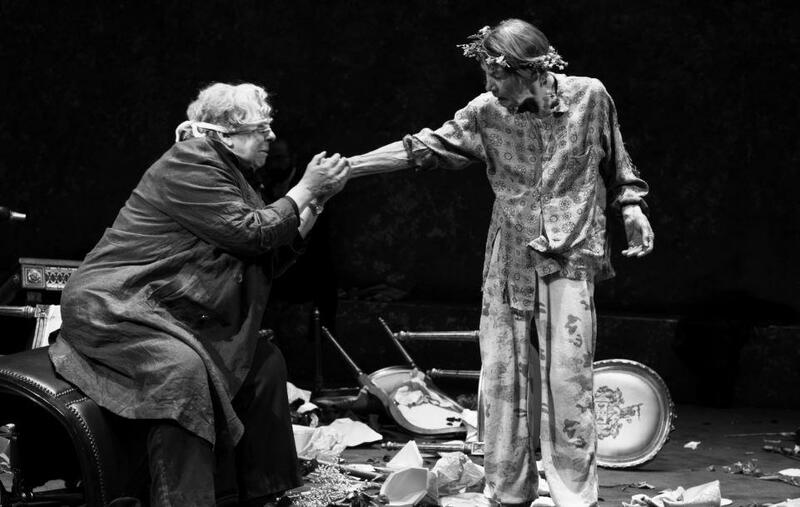 ane Houdyshell (left) as Gloucester and Glenda Jackson as Lear in KING LEAR.